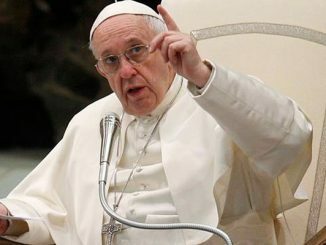 Vatican City, Nov 16, 2017 / 12:08 pm (CNA/EWTN News).- Pope Francis sent a message Thursday to a conference on climate change, telling participants the problem is something that can't be ignored, but must be met with a proactive desire to develop effective solutions. Denver, Colo., Mar 26, 2018 / 04:10 pm (CNA).- As Catholics around the world are buying Easter candy and dyeing boiled eggs, two priests have offered suggestions for getting the most out of Holy Week. “The most important, I believe, is to take advantage of the opportunities of prayer, especially attending each of the Triduum liturgies,” said Fr. 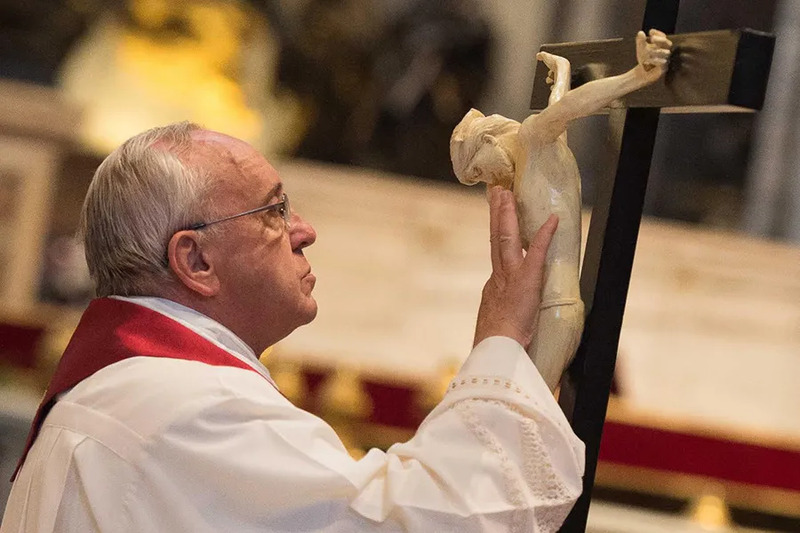 Gary Benz of the Diocese of Bismarck, N.D.
“I’m not sure if a lot of Catholics have ever attended all three liturgies – Holy Thursday, Good Friday, and Holy Saturday Vigil – and experienced the whole paschal mystery in the passion, death and resurrection,” Fr. Benz told CNA. While it may not be easy to attend all three liturgies, Benz encouraged Catholics, including families, to at least attempt attending these opportunities for prayer. He additionally noted that most churches offer an “extension of prayer” after the Triduum liturgies, which is another way to experience a fruitful Holy Week. “On Holy Thursday, the church has set up an altar of reposition for adoration of the Blessed Sacrament, usually until midnight,” Benz remarked. “If individuals or families could take to heart the plea of Jesus in the garden of Gethsemane, ‘Could you not spend one hour with me?’ and to just really sacrifice and spend that hour with the Lord,” he continued, particularly encouraging families to participate together in this time of adoration. Fr. Daniel Ciucci of the Archdiocese of Denver also recommended additional prayer on Holy Saturday, specifically found in the Church’s Office of Readings. “I would encourage people to read the Office of Readings for Holy Saturday, beginning with ‘Something Strange is Happening,’” Fr. Ciucci told CNA. ‘Something Strange is Happening’ is an ancient homily traditionally read on Holy Saturday. Benz also highlighted “an old European tradition” for the Triduum. According to this custom, from the time of the end of the Good Friday liturgy until the Easter Vigil, homes “try to produce an aura of mourning, because Christ is in the tomb,” Benz said. “It would be great if homes could silence the radios, televisions, technology, phones, iPads – to the best they can. Even limited talked and conversation, just to meditate that Christ is in the tomb,” he continued. Vienna, Austria, Jun 22, 2018 / 02:37 pm (CNA).- After U.S. President Donald Trump called Monday for a new military branch referred to as the “space force,” the Holy See has encouraged a unified, peaceful approach to space exploration. 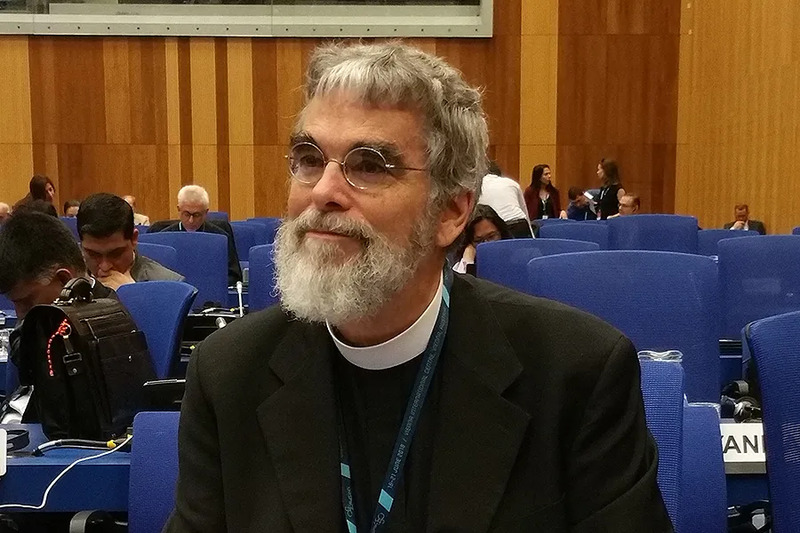 “The Holy See wishes to stress the importance of ensuring that outer space remains peaceful and that all outer space activities and efforts protect and promote this goal,” said Brother Guy Consolmagno, SJ, director of the Vatican Observatory. “The potential for development through space technology is immense and that the best way to make use of this potential is through international cooperation,” he said, in a June 21 statement to United Nations Office for Outer Space Affairs (UNOOSA). Brother Guy is also the president of the Vatican Observatory Foundation and led the Holy See’s Delegation at UNISPACE+50, a conference which took place at the Vienna International Centre in Austria from June 18-21. The conference occurred shortly after President Trump directed Pentagon officials to move toward establishing a “space force” in support of national security. He said the branch presence would create jobs and that the regulation of space traffic management should not fall to other countries. “I’m hereby directing the Department of Defense and Pentagon to immediately begin the process necessary to establish a space force as the sixth branch of the armed forces,” he announced at a June 18 meeting of the National Space Council. “There’s no place like space,” Trump added. The sixth branch of military would have to be approved by U.S. Congress before it was established. President Trump also challenged rich Americans to pursue private, commercial space industry on U.S. soil. Brother Consolmagno encouraged a different approach to space study and exploration. 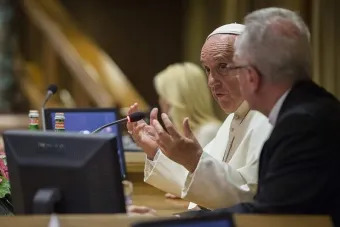 “The Holy See wishes to stress the importance of ensuring that outer space remains peaceful and that all outer space activities and efforts protect and promote this goal,” he said in remarks at the conference. “When the Earth is viewed from space, the atmosphere is the only border that matters, he said. “In seeing the Earth from space, we realize that our own borders are insignificant in comparison. The Earth’s atmosphere is a global environment that needs to be protected by a global vision of this limited, shared natural resource and must be utilized for the benefit of all humankind,” he added. Consolmagno said the benefits of space exploration, and the data from space research, should be publicly available. Space travel, he continued, should be made more affordable, and viewed as a benefit to mankind and the planet. Provided of course that that dialogue does not include listening to those who dispute the fad du jour of Anthropogenic Global Warming or climate change or whatever slogan the snakeoil salesmen are pushing. Ask Philippe de Larminat about dialogue with the Vatican.